Please be aware that over the Easter and ANZAC day break there will be an impact to fiat (AUD, USD, NZD) deposits and withdrawals. As Friday 19th, Monday 22nd, and Thursday 25th are all public holidays, banking deposits and withdrawals will be delayed around these days due to the banks halting processing. We recommend making deposits and withdrawals ahead of time, or for deposits you can use POLi for instant transfers. We are excited to announce the imminent launch of Stellar, our 10th listed cryptocurrency. Stellar is a platform aimed at making cross country and currency transfers easier, cheaper, and quicker. Stellar shares a lot with Ripple XRP, and was originally forked from the XRP code base back in 2014. Stellar's native currency is called the Stellar Lumen, and uses the ticker XLM. You can read more about Stellar on their project site. We will be releasing this with an introductory brokerage fee of 0.1% (for Stellar Lumens only), this will last for two weeks so ensure you get your trades in early! We are excited to announce the imminent launch of EOS, our 9th listed cryptocurrency. EOS is a blockchain technology that enables the development and hosting of decentralised applications (DApps). The EOS platform is ultimately designed to ensure quick deployment of DApps, to scale to millions of transactions per second, and to eliminate user fees. 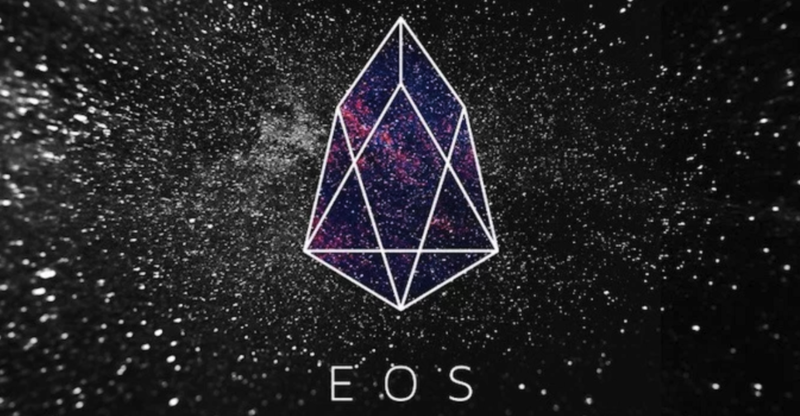 The company that created the EOS platform is led by Dan Larimer and Brendan Blumer, both are notable veterans in the crypto and tech world. EOS is consistently in the top 5 cryptocurrencies by market capitalisation. We will be releasing this with an introductory brokerage fee of 0.1% (for EOS only), this will last for two weeks so ensure you get your trades in early! We will be performing system maintenance and upgrades on Sunday 24th March at 2pm (AEDT). We expect this to last approximately 4 hours and during this time you will not be able to access your Independent Reserve account. Once this completes, deposits and withdrawals will be enabled for EOS. Trading will be enabled at approximately 11am on Tuesday 26th March. Ethereum's Constantinople and St. Petersburg upgrade will be occurring in the next couple of days. At this stage it is slated to happen at about 6am on the 1st of March (Sydney time). We will be disabling all Ethereum and ERC20 token (ETH, OMG, ZRX, and PLA) deposits and withdrawals at approximately 11pm on the night before (Feb 28th), and will be re-enabling them a few hours after the fork when it is safe to do so. We will be monitoring the situation closely and will update you with any changes to this plan. Trading will be active during this period. Independent Reserve is proud to be based in Sydney and recognises the city's deep passion for the arts and adventurous ideas. Its partnership with Sydney Festival reflects these values. Sydney Festival is a celebration of contemporary culture, art and performances which takes place in January each year. This year, the festival pays tribute to the underappreciated heroes of space travel in the 50th anniversary of the moon landing. Sydney Festival has commissioned artworks around Barangaroo as part of the city-wide commemoration of Apollo 11, namely 11 larger than life astronauts scattered throughout Barangaroo. Independent Reserve is a proud sponsor of three of these astronauts. The astronauts represent the individuals who contributed to space travel in meaningful ways yet, for one reason or another, are under-appreciated. Similar to our mission of creating a healthy space for cryptocurrency growth, the 'Apollo 11' astronauts were committed to the advancement of a new technological space. We launched our exclusive tax tool developed by KPMG. The tool plugs directly into the user interface allowing traders to estimate tax obligations at the click of a button. 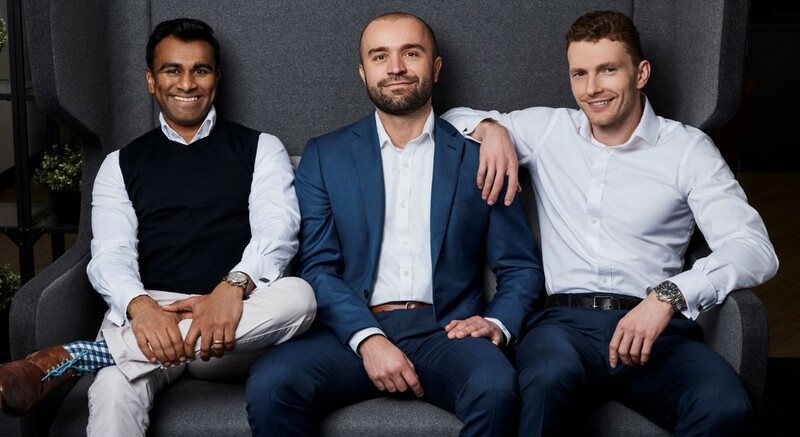 Independent Reserve made its debut at #17 in the prestigious Australian Financial Review Fast Starters List and became the first cryptocurrency firm to do so. The annual feature picks out the 100 fastest growing startups in Australia. 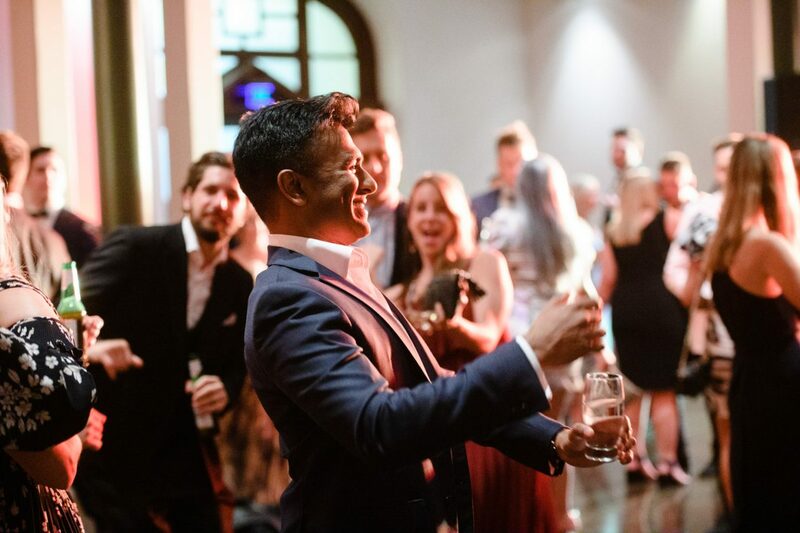 COO of Independent Reserve, Lasanka Perera was recognised as a Fellow of the Australian Digital Commerce Association (ADCA) at Parliament House. Australian Senator Jane Hume and other dignitaries hosted this special event celebrating the leaders driving change in the blockchain industry. We launched IR Ventures, Sydney's largest blockchain innovation hub. IR Ventures will invest in and support up to 24 companies in early commercialisation stages as well as those building blockchain and fintech solutions in our burgeoning industry. We have been closely watching the BCH landscape, both in how the two blockchains are developing, and how the community is reacting. As we originally announced, we will initially be supporting the ‘Bitcoin Cash ABC’ blockchain, and we will be referring to this as ‘Bitcoin Cash’ with the ticker symbol ‘BCH’. BCH deposits and withdrawals will remain disabled for the time being as the network hashing power remains volatile and there is an ongoing risk of blockchain reorgs which could reverse transactions. We are hoping to re-enable deposits and withdrawals for BCH (ABC) in the coming week. Regarding the ‘Bitcoin Cash SV’ blockchain, we are considering crediting customers with ‘Bitcoin Cash SV’ balances, matching their BCH balances at the time of the fork, and allowing these to be withdrawn from Independent Reserve. Before this can happen, the ‘Bitcoin Cash SV’ network needs to stabilise and reliable infrastructure such as wallets and block explorers need to emerge in the community. This may take several months. As always, the safety of client assets held within Independent Reserve remains our highest priority. As always, if you have any questions please send them through our Support system. KPMG Australia and Independent Reserve, the largest Australian cryptocurrency exchange, today announced the launch of a new tool to help the traders of cryptocurrencies better understand their tax liabilities. The Crypto Tax Estimator developed by KPMG is a digital tool that plugs directly into Independent Reserve’s user interface, allowing traders to estimate tax obligations on their portfolio all with just the click of a button. We would like to remind all customers that a BCH protocol upgrade is scheduled to occur in the early hours of Friday morning, Sydney time. Note – this does NOT relate to Bitcoin (XBT), it relates to the cryptocurrency Bitcoin cash. As there are two competing proposals, a split in the BCH blockchain will likely occur. BCH trading will remain available at Independent Reserve with no interruptions, however, we will pause BCH deposits and withdrawals at 9pm Sydney time, November 15. Please ensure that all your BCH deposits and withdrawals have been completed before this time. BCH deposits and withdrawals will remain disabled until one of the competing blockchains wins majority support and general consensus in the BCH community and the blockchain is stable. We do not know how long that will take, so a long suspension is possible. Be assured that your BCH will remain safe during the fork. Independent Reserve will exercise its own discretion in deciding which proposal’s chain to support after the fork and will do so with consideration to what is best for our customers whilst maintaining security of all client funds held within our wallets. Bitcoin Cash is quickly approaching its second hard fork, the first being 6 months ago where the block size was increased to 32MB and some opcodes were added. While the previous hard fork was not contentious, the upcoming one appears to be causing some splits in the community. The Bitcoin ABC client development team announced their changes first. Many in the community did not agree with ABC’s direction, and so nChain (Craig Wright) announced their own new client called Bitcoin SV. Independent Reserve will upgrade our systems to support the Bitcoin ABC client protocol. We will be disabling deposits and withdrawals for BCH prior to the fork, which should happen sometime in the early morning of 16th November (Sydney time). We will announce exact timing closer to the fork. Any BCH left in your Independent Reserve wallet will be safe during this period, but as always – if you do not withdraw your coins to a personal wallet prior to the fork, you will not end up with coins on both sides of the fork; you will only have coins on our supported fork. Last week's big gains haven't continued - but the good news is there hasn't been a major correction either. Bitcoin is holding above $7000, having lost 3.6% over the week. Ethereum, Ripple XRP and LTC all lost around 10%. EOS was down 2.3% while Stellar went backwards to the tune of 13%. In positive news, the Bitcoin Misery Index hit 89 over the weekend. 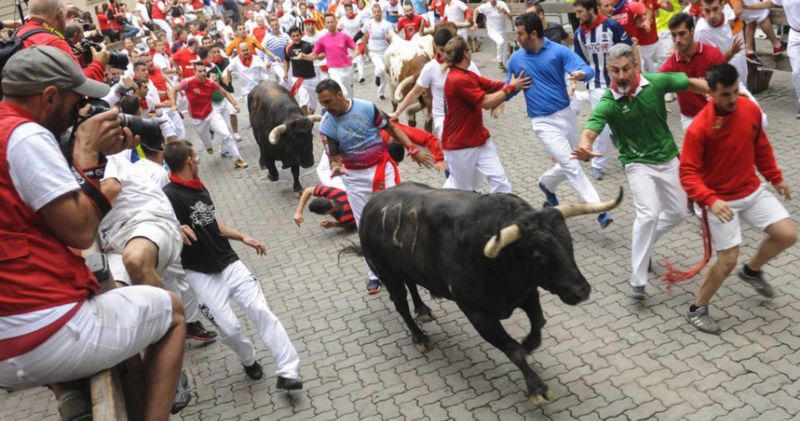 Historically speaking any score above 67 has only been seen during a bull market. Not a dull moment. The ridiculous drama of BSV. What a difference a week makes. In our last newsletter we asked: 'Is Bitcoin on the cusp of a major breakout?' About an hour after the email hit inboxes, there was a 20% spike in the BTC price. There's been plenty of speculation about the reasons behind the massive jump - some cite large short positions being liquidated, while others point to a good technical setup. We prefer to think of it as the price finally catching up with the fundamentals. The Lightning Network has begun to prove itself, regulations are improving, there's money flowing in from funds and the institutional infrastructure is being refined. It all adds up to a pretty bullish picture from where we're sitting. March was a very positive month on the markets, with the top ten all in the green apart from XRP, down 1.5%. Bitcoin was up almost 7% over the month, ETH finished up 6%, and there were big gains to be had trading EOS (up 19%), LTC (up 25%) and BCH (up 30%). Is Bitcoin on the cusp of a major breakout? The crypto major hit a 2019 high this week following an April Fool's Day surge of 1.6%. BTC is currently sitting just above $AU5,848, and finished the week up 4.7%. Ethereum ($AU199.49) is up 5.1% this week, EOS ($AU5.90) increased 14.9%, LTC ($AU85.35) up 1.9% and BCH ($AU235.78) closes the week 4.4% higher. Is Bitcoin on the cusp of a major breakout? Crypto markets continued to tread water with Bitcoin ($AU5,552) closing the week 3% down on where it began. Most of the top ten were marginally in the red over the past seven days with Ethereum ($AU189) down 3.9%, Ripple XRP ($AU0.42) retreating almost 4.7%, Litecoin ($AU83.30) down 1.8% and EOS ($AU5.21) falling 2.6%. Bitcoin's market dominance has fallen to a shade above 50% - the lowest point since August last year. Google Trends also show that searches for Bitcoin are at their lowest point since April 2018. Is this a sign that the link between BTC and altcoin prices is finally going to break, or just more statistical noise? Daily trading volume for Bitcoin hit $15.5 billion on March 15, the most observed in a 24 hour period since April 25 last year. The total market cap of all crypto also topped $197 billion for the first time in 2019. Unfortunately BTC is still having trouble breaking out above $5600 - the psychological US $4000 mark. It's pretty much bang on that mark today having gained 3.4% on the same day last week. Bitcoin Cash was this week's star performer, gaining a quarter in value. In fact, all of the top ten were in the green - ETH was up 4.5%, XRP (1.4%), and LTC (9.5 percent). World's biggest blockchain ETF launched, IEO the return of the ICO? Bitcoin and Ethereum both finished the week in positive territory, up 3.9% and 4.6% respectively. But it was Litecoin that was the star performer, surging 18.1% over the course of the past seven days. Some suggest this is due to increased awareness of Litecoin's upcoming 'halving' in August when mining rewards will drop from 25 LTC to 12.5 LTC, thereby reducing the supply. Ripple (XRP) traded sideways this week, finishing 1.3% up on where it began, as did Bitcoin Cash which marginally improved its position by 2.78%. 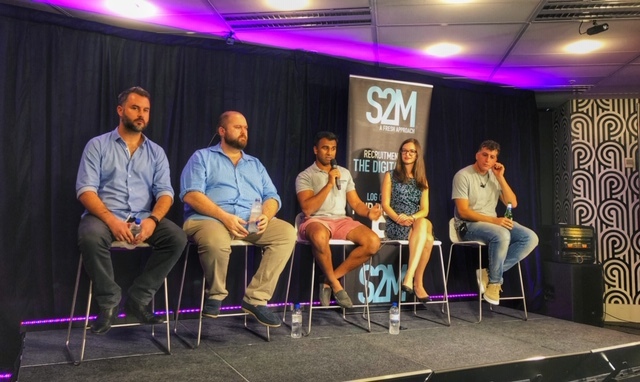 COO Lasanka Perera front and centre on the Crypto Sydney Panel on Tuesday. February finally saw some green shoots of hope, with Bitcoin pulling out of its six month long losing streak finishing the month up 11.2%. With transactions at a 12 month high, can the market leader finally break out above AU$5,500? Altcoins surged last month too, with Ethereum up by nearly a third, EOS by 55%, Litecoin by 48% and the Binance Coin by 70%. Tron was the only coin in the top ten in the red, pulling back 13%. Plenty of volatility again this week. Some are pointing to the scheduled Ethereum hard fork (read more here about how it may affect your trading on IR) as the main driver in prices over the past couple of weeks. I'm not sure if I'm convinced, but there hasn't been any other obvious news piece to explain the rally. Nor was there a catalyst for the sell off we saw on Sunday. I think market participants are back and whilst volumes are still relatively thin, it doesn't take a lot to move prices around. I see this volatility as a positive sign that life blood is finally returning to our market. Volumes are back! This week we saw more volume on IR exchange and the OTC desk since the post BCH hardfork volatility last November. It wasn't only IR seeing the flow. Bitmex churned through $US3billion (AUD$4.2 billion) in volume over the past 24 hrs. Triple what was trading this time last week. BitMex suggested in a recent blog post that their annual trading volume was close to US$1trillion. Whilst there has been some positive news flow this week, nothing stands out as a clear driver for the recent rally. However, we did notice one thing leading up to last night's rally. Someone has been buying a TON of Bitmex BTC/USD perpetual swaps in sizable US$10million dollar chunks. The rally seems to have stirred up some FOMO flow, and we have seen plenty of additional buying interest through our OTC trading desk. Welcome back to another Australian crypto market update. Whilst trading volumes remain low, some stats out of US research house Diar report that the number of Bitcoin transactions last month hit a one-year high. They suggest that the number of Bitcoin transactions are increasing exponentially, approaching 2017 boom time levels. However, the size and overall USD value of transactions are getting smaller. The report doesn't shed any light into why this is, but to me this hints at a growth in adoption. Smaller transactions could point to an increased use in crypto retail purchases. Almost all Brisbane airport merchants accept bitcoin now. Another possibility is an uptake in the micro investment space, with new user friendly offerings such as Aussie startup Amber coming online. A further reason could be the growing Lightning network activity, with smaller amounts being committed and settled from lightning channels. Welcome back to another Australian crypto market update. It’s been a busy week at IR. On Monday we launched our new insurance product, something that has been 5 years in the making. A lot of time was spent with regulators, auditors and insurance underwriters to bring a product that only a handful of crypto firms can offer globally. It makes a significant statement to the rest of the financial industry that crypto is a now bona fide asset class. Top tier auditors and the biggest insurance underwriter in the world not only acknowledge crypto but are offering their services to well governed firms in this space. As a client of IR this means that you now have the option of additional peace of mind when trading and storing your crypto assets on the Independent Reserve exchange. To read more about our insurance offerings and trading fee discounts, see our Premium Account plans page. Celebrating moon action and 2019 the year of the Security token? After a reasonably stable start, we saw another weekend selloff which placed most coins in the red at the close of the week. Bitcoin was down 3%, XRP and ETH down almost 9% and OMG, our worst performer for the week, down 12.5%. It's unclear what triggered the sell off. However, a paper released around the same time from the BIS couldn't have helped. The paper spends much of its time critiquing Proof-Of-Work consensus mechanisms, with a focus on Bitcoin. It points to a well known, heavily debated issue, that as mining block rewards taper, transaction fees alone will not be enough to incentivise a secure network, rather it would drive bad actors to initiate 51% attacks. The paper is very much casting an opinion of the Bitcoin network ~121+ years down the track, and assumes that the network will be as is today. In crypto it's hard to predict what's happening next month let alone in over a hundred years time. Assumptions aside the paper is a decent read and makes for some interesting points.